In SVENNESS 2.2 we start with a reminder of the fragility of life and take a moment to remember Amy Dombroski, a shining star in the cycling community. If you miss the link in the video, an easy way to contribute to the Amy D. memorial fund is to purchase a shirt produced by our friends at Handlebar Mustache. The link is: http://www.hbstache.com/SearchResults.asp?Cat=120. We then take a look at some relatively unspectacular landscape and how the GP Albert Van Damme Laarne organizers used creative design elements to build their course. But you don’t need amazing terrain to have amazing racing. And this day’s finale saw some of the best head-to-head action we have witnessed in a while. Maybe it was the emotion of Amy Dombroski’s passing and the moment of silence before the race that motivated the Fidea Telenet crew, but they were not going to be denied. 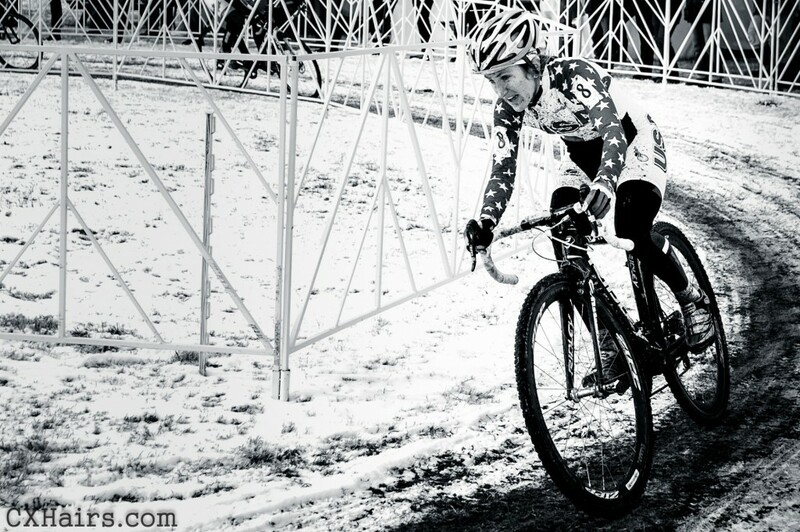 If you have a moment, please check out Skills, Drills and Bellyaches: A Cyclocross Primer at cyclocrossbook.com. # SVENNESS 2.2 from In The Crosshairs on Vimeo. Thank you for your #SVENNESS videos….awesome and the narrative, music, footage is amazing. Eagerly awaiting the next entries.